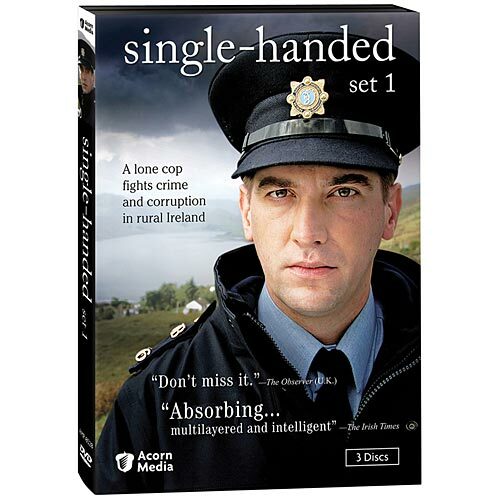 Transferred from Dublin to his hometown on Ireland's windswept coast, Sergeant Jack Driscoll (Owen McDonnell) faces challenges he never expected: winning the villagers' respect, escaping the shadow of his father and predecessor, solving baffl ing crimes, and exposing dirty secrets. A gritty drama set against a landscape of epic beauty and isolation. "Don't miss it"-- Observer (UK). 3 feature-length mysteries, 5 hrs, 3 DVDs, SDH. Freshly transferred to his hometown from Dublin, Garda Sergeant Jack Driscoll probes the carbon monoxide poisoning of a young immigrant woman. The investigation threatens to expose dirty secrets kept by a few well-respected local men--including, perhaps, his father. After toddler Conal Burke disappears, his mother accuses her estranged husband of snatching him. Driscoll desperately tries to locate the boy and his father before Conal's two violent uncles get involved. Meanwhile, a tribunal investigates past police misconduct by Jack's father. Driscoll heroically pulls 17-year-old Daniel O'Malley out of the bay--too late to save him. The mystery surrounding the teenager's death deepens when Driscoll learns that his old flame has been "vacationing" at a cottage overlooking the exact spot where Daniel drowned.